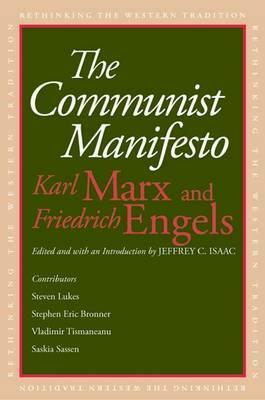 Marx and Engels's "Communist Manifesto" has become one of the world's most influential political tracts since its original 1848 publication. Part of the Rethinking the Western Tradition series, this edition of the "Manifesto" features an extensive introduction by Jeffrey C. Isaac, and essays by Vladimir Tismaneanu, Steven Lukes, Saskia Sassen, and Stephen Eric Bronner, each well known for their writing on questions central to the "Manifesto" and the history of Marxism. These essays address the "Manifesto"'s historical background, its impact on the development of twentieth-century Communism, its strengths and weaknesses as a form of ethical critique, and its relevance in the post-1989, post-Cold War world. This edition also includes much ancillary material, including the many Prefaces published in the lifetimes of Marx and Engels, and Engels's "Principles of Communism.